I have to admit that I fought a battle against reading this book. It was suggested that it had a hint of paranormal which I believe set me against it. I enjoy Riley’s books and didn’t want to pick this up and not like it due to it being out of my “normal” reading genre. Got to say – I really enjoyed it. It wasn’t the paranormal I was thinking of. To me it was more of a Deja Vous or a shared connection/ shared dreams type of story. 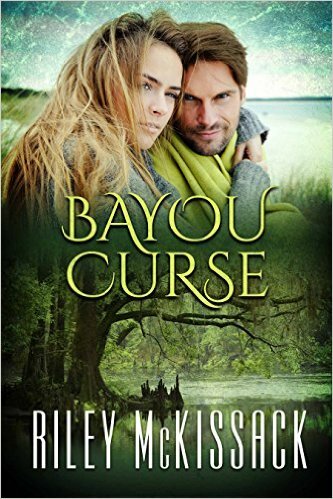 The Bayou Curse is set in the heart of Cajun country and follows Judge Eddie Devereaux and Jenna Lejeune, an Atlanta journalist who is in town writing a hurricane aftermath story. As soon as Jenna arrives and her last name is known, it causes a strong reaction in the locals. Her last name & Eddie’s last name are associated to a legendary couple, a Romeo and Juliet of the Cajuns. Jenna and Eddie both feel as if they know each other. Could they really be the legendary Jean Claude Devereaux and Genevieve Lejeune from centuries ago? Jenna starts investigating the history of the Devereaux and Lejeune families. Is it really a long standing curse associated with the families or just a silly superstition handed down through the generations? With the connection Jenna and Eddie feel for each other getting stronger, and the danger getting closer, they both work to find the answers to the apparent long standing curse of the two families which brings doom to any Devereaux man who gets involved with a Lejeune woman. Together they have to confront their apparent joined past, defeat the curse, and survive. Really enjoyed this story and was wowed by the descriptive writing. Makes me want to take a trip down to Louisiana.